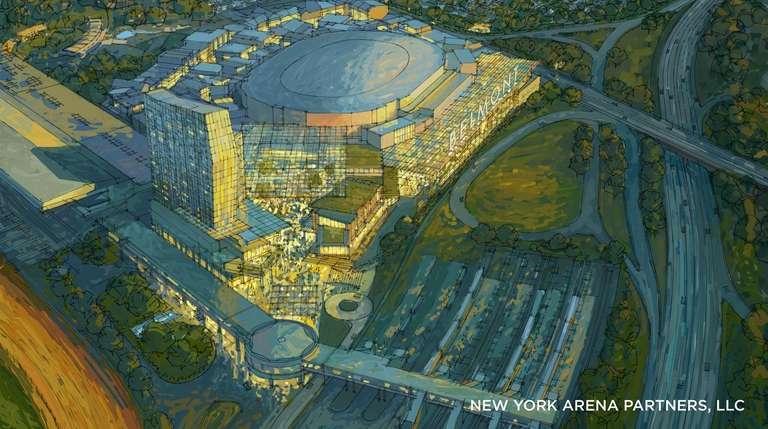 Elmont Against the Megamall wants to kill a proposed arena for the New York Islanders and nearby retail and entertainment development at Belmont Park. A new community group with $650,000 in funding is mounting strong opposition to the $1.2 billion plan to build an arena for the New York Islanders, along with a retail and entertainment complex on state land at Belmont Park. In September 2018, Elmont Against the Megamall paid $346,000 to The Crux Group, the West Hollywood company. In October 2018, the community group paid another $34,000 to Crux, and in December 2018 it paid the firm an additional $102,000, state filings show. "We believe this project is too big for the community, period. It will overrun the community with traffic from outside Elmont, turning a bad traffic situation into a living nightmare," said Howard Kushlan, co-founder and CEO of The Crux Group. Kushlan would say only that he expresses the views of members of Elmont Against the Megamall. The Belmont project is undergoing a lengthy environmental review process scheduled to be completed in June. Developers want to build a 19,000-seat arena, a 250-room hotel and 435,000 square feet of retail. 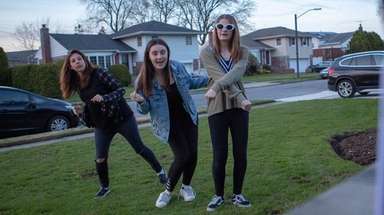 Local residents and some state lawmakers questioned how the group, which describes itself as a grassroots community organization, was able to raise so much money. “Whoever is behind this is hiding behind the group name, and there’s nobody I can speak to about what their beliefs are,” said Jon Johnson, who sits on the 15-person Community Advisory Committee formed by ESD. The panel meets regularly to discuss issues related to the Belmont development. 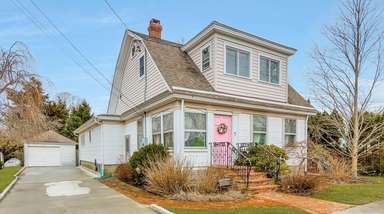 Elmont Against the Megamall, formed in August 2018, is active on Facebook and Twitter and has posted images of its preference for Belmont — ballfields — on a website called Medium. The group also has begun circulating a petition calling for a full-time Long Island Rail Road station at Belmont. Representatives have visited the parking lots during events at NYCB Live’s Nassau Coliseum, asking Islanders fans to sign. The group then posts photos of the fans signing the petition on Twitter. Elmont Against the Megamall says in news releases it has four local residents as board members: Kevin Barnes, Tony Bhatti, Will Cook and Grisselle Gonzalez. Bhatti said he doesn’t know who is funding the group, but said the money gives them a larger platform to get their anti-development message out. Barnes said, “We don’t need another mall. We have another mall another mile and a half from us,” referring to Green Acres Mall in Valley Stream. 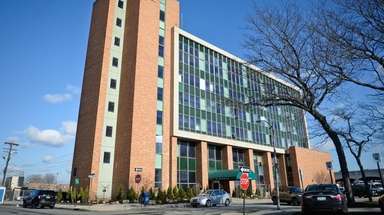 Bhatti said Elmont Against the Megamall has engaged McKeon, a partner at Mercury Public Affairs, a political consulting firm with offices in 20 cities including New York and Albany. McKeon served as communications director for Pataki, a Republican. McKeon also worked on Pataki's successful re-election campaigns in 1998 and 2002. McKeon declined to comment, referring inquiries to Kushlan. Kushlan declined to say where Citizens for Responsible Community gets its money. "I refer you to the group to answer that question," Kushlan said. "I don’t speak for them." A phone number for Citizens for Responsible Community listed on state disclosure forms is that of a company called Election CFO, with the motto: "We do compliance so you can do politics." Messages left there were not returned. The address for the Citizens for Responsible Community matches that of a Virginia law firm that has represented the National Republican Congressional Committee and fundraising organizations tied to GOP strategist Karl Rove and billionaires Charles and David Koch, according to news stories by The Associated Press and The Washington Post. Elmont Against the Megamall also has been represented by Valley Stream-based attorney Albert D’Agostino and Ronkonkoma-based traffic engineer Steven Schneider, both of whom spoke out in opposition to the project during public hearings in January. D'Agostino on Tuesday said the community group is not paying him but declined to comment further. Kushlan said D'Agostino is doing pro bono work for the group. Schneider has not responded to requests for comment. Sen. Anna Kaplan (D-Great Neck) said she has tried to meet with as many constituents and groups from the community as possible, and met with a representative from Elmont Against the Megamall. Mimi Pierre-Johnson, a community activist in Elmont who opposes the Belmont project, complained about a glossy postcard she received in the mail asking her to join Elmont Against the Megamall without offering much information. Pierre-Johnson belongs to the Belmont Park Community Coalition, which opposes the Belmont project and is run by community organizer Tammie Williams. 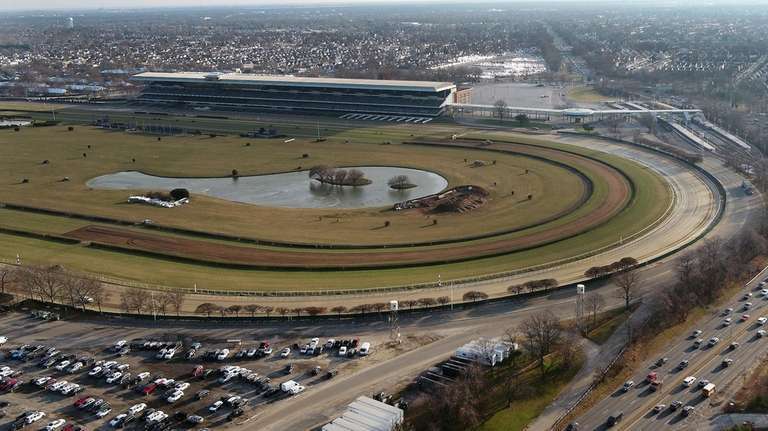 Sources: LIRR station studied for Belmont ParkThe state agency overseeing the Islanders' $1.2 billion arena project at Belmont Park is expanding its environmental review to study the possibility of adding a full-time Long Island Rail Road station, sources said.